Please consider supporting your Little Traverse Youth Choirs while beautifying your home and office for the holidays! Our greenery, locally made by Into the Woods is truly special and will last well beyond the holidays. Click here for a description of the products that are being offered. 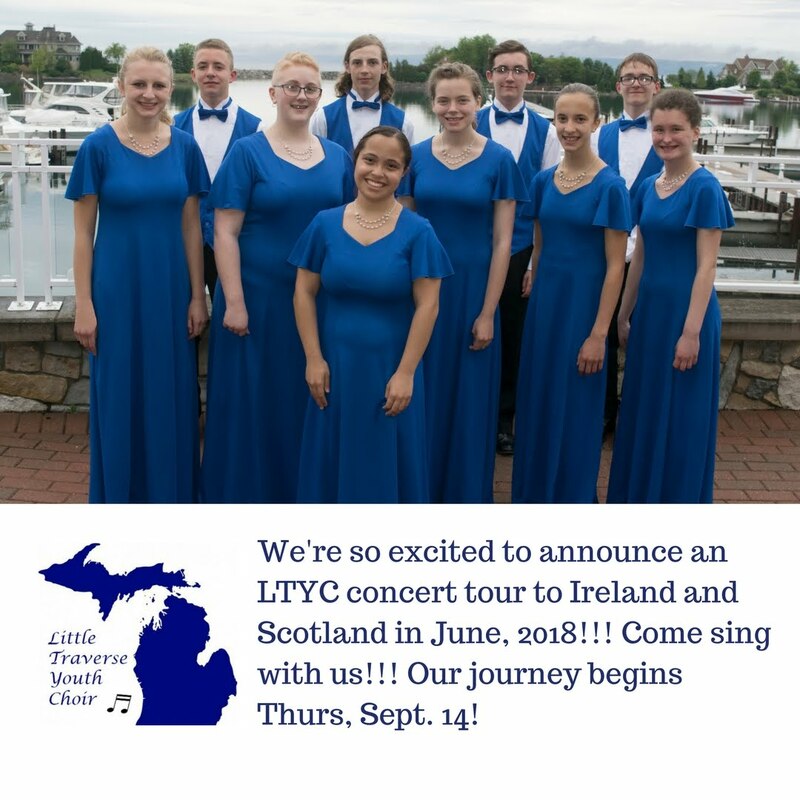 Please contact your favorite LTYC member or send an e-mail to Kim (kcerrudo@littletraverseyouthchoir.org) if you are interested in ordering. Thank you so much for your support! A Northern Michigan Community "Sing-in" Commemorating World Singing Day! The Vietnamese must have all costumes for their performance. They will carry the costumes they wore today to the fort with them since they will be performing the same pieces they did at Perry Farms Village. The other costumes may be left in the car/van while they are on the island. They will also need to take all of their instruments to Mackinaw City. They will only take those instruments they used today with them to the island. The others will be stored in Mackinaw City until they need them in the evening. We plan to take the 9:30am ferry to the island. In the event we cannot all get on that ferry, the first group will wait for the arrival of the second group. We must be at the fort no later than 11:30am. This gives the Vietnamese time to apply makeup and change into their pink, green and yellow costumes (the same costumes they wore at Perry Farms Village.) We cannot be late for the 12:30performance. Hosts: If there are any problems communicating this to your Vietnamese guests, please have them call Sandy to translate this. Also, remember to please bring sunscreen and send a sack lunch and a snack. We plan to take the 5:00pm ferry back to Mackinaw City. Do not be late or you will miss your dinner before the concert. Once they get back to the mainland, we will regroup and will have access to all of the instruments and costumes needed for the evening concert. If the host family does not plan to attend the evening performance in Mackinaw City, please be there at Conkling Heritage Park to pick up your guests at 9:00pm. Thanks for your careful attention to these details.